"It has a very good sound and also carries well," violin maker Michael Rhonheimer said at the Swiss Innovation Forum in Basel. Many researchers believe the unmatched sound of Stradivarius violins comes partly from the instruments’ age. 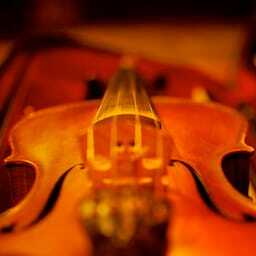 Researchers have studied the density of the wood, the quality of the finishes and the shape of the violins and other string instruments made by the Stradivari family in an effort to determine why their sound is so rich. As of yet, the sound has proved irreproducible. Because of the high value placed on the violins, which can sell for more than $1 million, numerous con artists have tried to pass off other instruments as Stradivariuses. How on earth did it occur to this researcher to treat the wood with mushrooms, of all things? I wonder if were to eat mushrooms before my gigs if it would make me play better too? Hm. Mushrooms & Violins was published on Friday, November 7, 2008 at 11:58am MST by Daniel Menjívar and last updated on April 11, 2018 at 9:30pm UTC .